Zambia is one of the least travelled countries in Southern Africa, but is certainly no less rewarding. 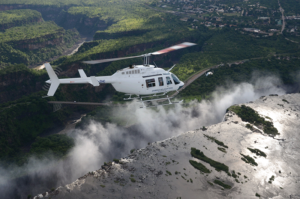 The main attraction is that of The Victoria Falls which Zambia shares with its neighbouring country, Zimbabwe. 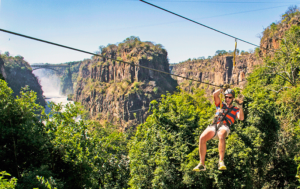 With the falls and the mighty Zambezi River, the area is known as the ‘adventure capital’ offering adrenalin-packed activities in a magnificent African setting. Zambia is also home to many game reserves of its own. South Luangwa, Kafue and Lower Zambezi rank as some of the finest game parks in the world. Zambia also has easy access to the game enriched areas of Botswana. The great Zambezi River carves its way across six countries and travels some 2700km giving life to an abundance of African mammals, fish and birds. At a stage in its journey, this mighty river tumbles over a sheer drop some 1370m wide and 108m deep, giving us one of the world’s greatest natural spectacles. The Victoria Falls, creating a magnificent roaring and mist-filled cavern as it plunges below to form the narrow, zig-zagging gorge has been named a world heritage site. 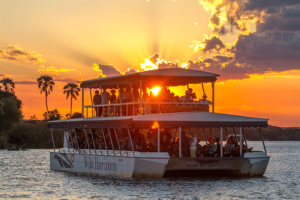 This 10 day itinerary combines 3 nights in Chobe, Botswana aboard a luxurious house boat with a 2 night visit to The Victoria Falls, followed by 4 nights on safari in Zambia’s South Luangwe National Park – the home of the walking safari. The best of Southern Africa in 2 1/2 weeks visiting 4 countries. With each destination offering a completely unique experience, this is a great option for those looking for a once in a lifetime trip to Africa to see as much as possible. Enjoy 4 nights in the magical city of Cape Town, 4 nights in the wilderness of spectacular Namibia, 5 nights in 2 diverse safari locations in Botswana and end off with 2 nights at Victoria Falls visiting this world heritage site. This is one of our most popular trips for first time visitors to Africa. It combines a visit to Cape Town (voted best city in the world to visit) with a Big 5 Safari in the private reserves of Kruger National Park and onwards to the famous Victoria Falls. It also includes two of the natural wonders of the world, Table Mountain and Victoria Falls. 5 Nights Cape Town, 3 Nights Kruger National Park, 3 Nights Sabi Sand Private Game Reserves and 2 Nights Victoria Falls.